The players unions of the NFL, NBA, NHL and MLB aren’t sure when sports gambling will be legalized. But they see it as a matter of if, not when. So they’re not going to waste time getting prepared. The MMQB has learned that the four unions have had a number of formal meetings in New York over the past year-and-a-half to discuss the potential ramifications that legalized sports gambling could present for their players. Atallah said the unions have started looking at how legalized sports gambling and those associated issues are handled overseas in areas where it’s been legal for decades. They’re also monitoring legislation in New Jersey, which has been the primary battleground for legalized sports gambling. 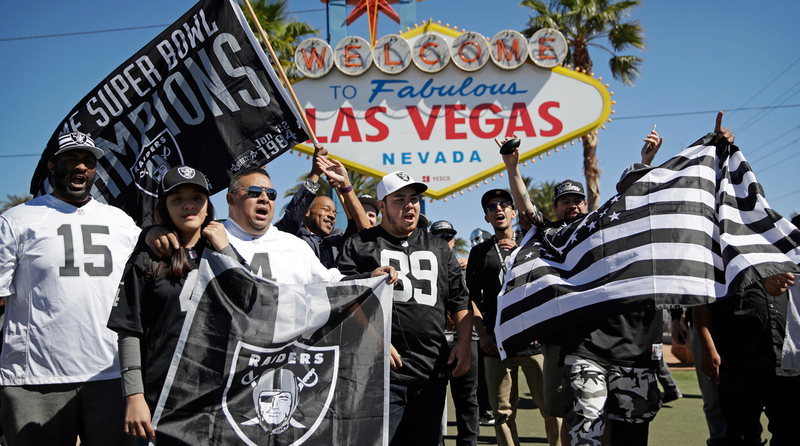 The Raiders soon will be headed to Las Vegas, giving the city two major professional sports franchises. The NHL’s Golden Knights begin play there this fall. Nevada remains the only state where sports gambling is legal, and the sports leagues are about to set down roots there for the first time. The NHL’s expansion Vegas Golden Knights begin play this fall. The NFL’s Raiders will move from Oakland and into a new $1.9 billion stadium there in 2020, and could be there sooner depending on what happens with their lease in the Bay Area. Meanwhile, the NBA held its All-Star Game in Vegas in 2007, and commissioner Adam Silver has come out as a proponent of legalizing sports gambling. All of that signifies change, as Vegas was long seen as a forbidden land for professional sports. And while the NFL’s comments publicly have been far more conservative than Silver’s, there was a quiet admission from NFL owners—before they unanimously voted the Raiders’ move to Vegas—that a sea change was coming. The sports-gambling summits over the past 18 months have been attended by the executive directors of the four unions—the NFLPA’s DeMaurice Smith, the MLBPA’s Tony Clark, the NBPA’s Michele Roberts and the NHLPA’s Donald Fehr—and are just another acknowledgment of what’s likely not far off.